There’s nothing on earth more magical than Christmas in New York City . That’s why all the Christmas movies are set here! Whether you’re a fan of ‘Home Alone 2’, ‘Miracle on 34th Street’, or ‘Elf’, all of these movies (and more!) have played a role in making New York the best place in the world to be at Christmas time. New Yorkers take a lot of holidays seriously, but they take no season more seriously than Christmas. Everywhere you walk, there’s music pouring out of the buildings, people in Christmas jumpers and amazing shop window displays full of toys, tinsel and mistletoe. With the holiday season currently in full swing in New York, here are some of the great things you can do in the city in the lead-up to Christmas and New Year’s. The Christmas Tree at the Rockefeller Center. The Rockefeller Center is a historic landmark in the heart of midtown Manhattan, and throughout the year you can go to its Observation Deck for an incredible 360° view of New York City. 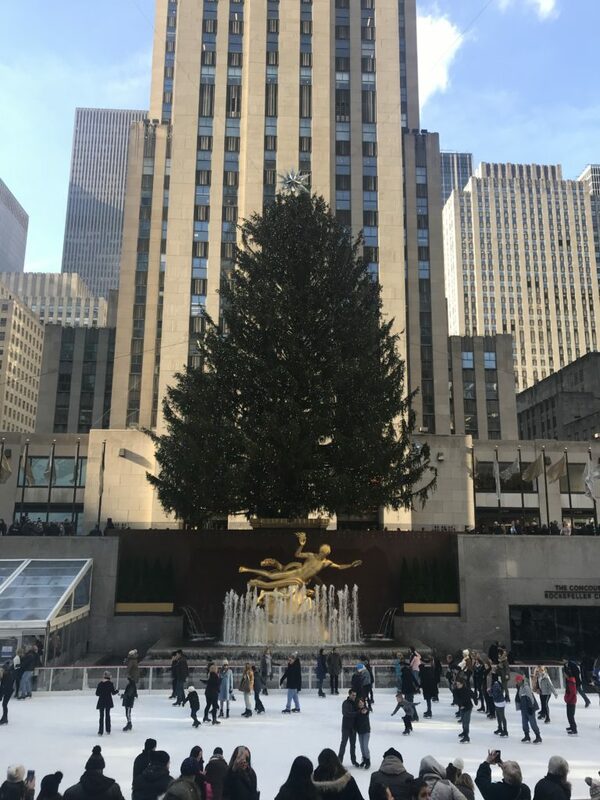 In late November every year, a Christmas tree is placed in front of the Rockefeller Center (the same tree you may recognise from ‘Home Alone 2’) and the tree-lighting ceremony always marks the official start of the holiday season in New York. Even if you have missed the tree-lighting ceremony this year, it’s great to visit the Christmas tree at the Rockefeller Center and see it lit up at night. Plus, if you’re feeling brave, you can go ice-skating in the rink that is set up in front of the tree — just be prepared that if you fall, there will be a lot of people around likely to catch you falling in a photo! The ice-skating rink at the Bryant Park Winter Festival. Not too far from the Rockefeller Center, you can visit Bryant Park, which is located between Fifth and Sixth Avenue, W 40 St and W 42 St. This gorgeous park is transformed every Christmas into the Bryant Park Winter Village. With a 17,000-square-foot ice-skating rink and more than 150 shopping kiosks and food vendors open for business, this Christmas market is one of my favourite markets in the city. I love the Strand Book Store pop-up stall, and I’m a big fan of all of the hot chocolate that’s available at the different food and drink stands. 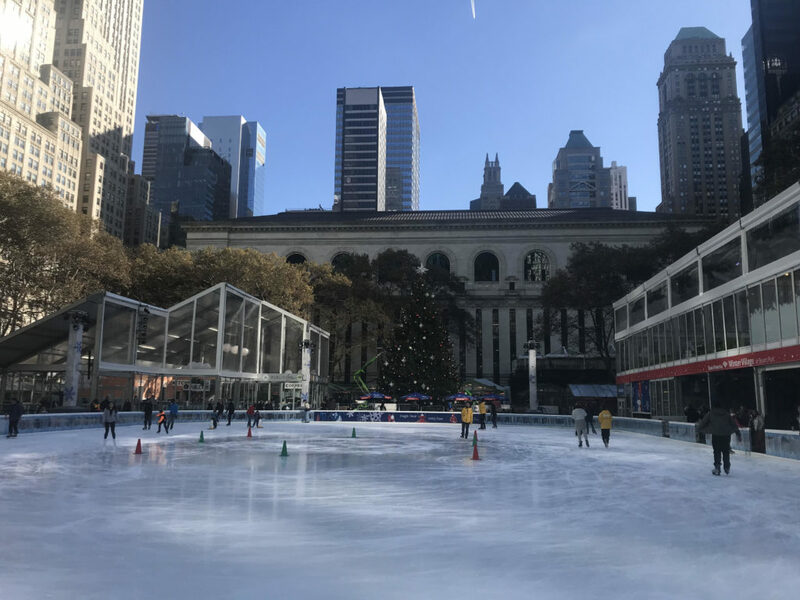 Whether you’re looking for the perfect Christmas gift or just want to spend a couple of hours soaking up some Christmas vibes, a visit to the Bryant Park Winter Village is an absolute must. Crowds at the Union Square Holiday Market. 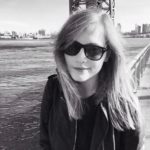 If you’re a fan of Christmas markets (as I clearly am), then the Union Square Holiday Market is also top of my list of recommendations on how to spend Christmas in New York. Urban Space is the company responsible for this market and many other markets that are established in New York City throughout the year. 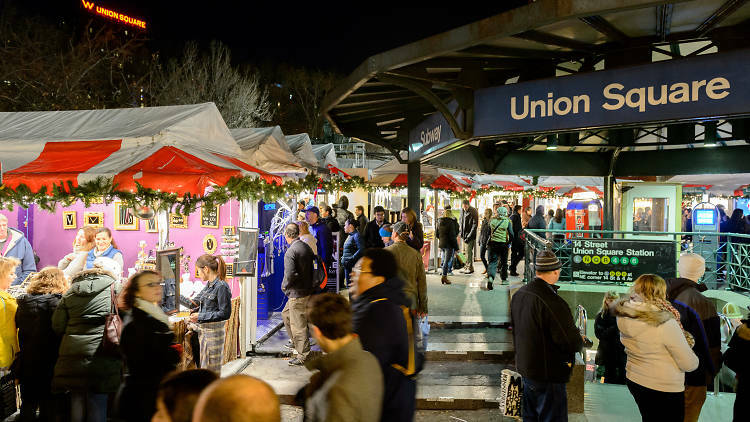 The Union Square Holiday Market is an immersive experience where you can easily get lost amongst the many food stalls and pop-up shops, with vendors selling everything from hats to toys to jewellery. Located right beside the Union Square subway station on 14th St, it’s easy to find and great to explore. Once you’ve spent some time browsing in Christmas markets and exploring the shops on Fifth Avenue, no Christmas in New York is complete without a shopping trip and a visit to Macy’s. 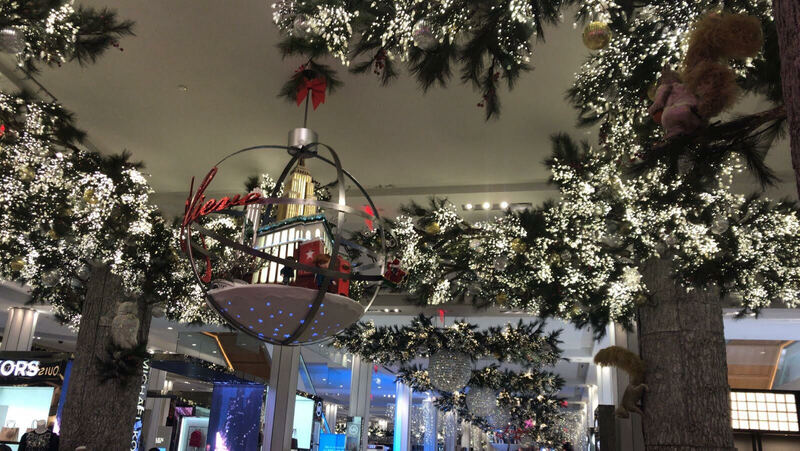 This iconic store makes about 80% of their net profit every year at Christmas, so they go all out with window store displays, amazing decorations, and great deals on every floor. Bring your passport with you if you’re a foreign national for extra discounts on any purchases you make! The first snowfall of December 2017. 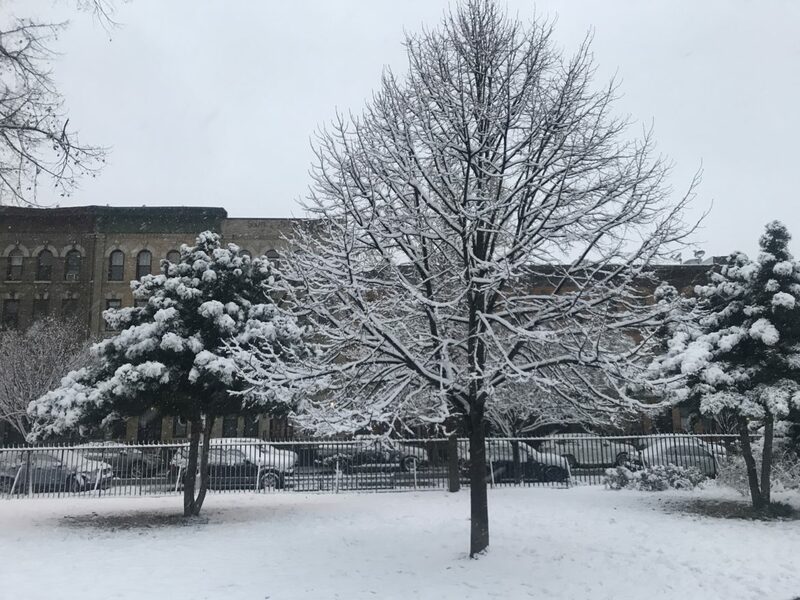 It was snowing last week in New York, and with any luck, this snow is the lead-up to a White Christmas this year in the city. 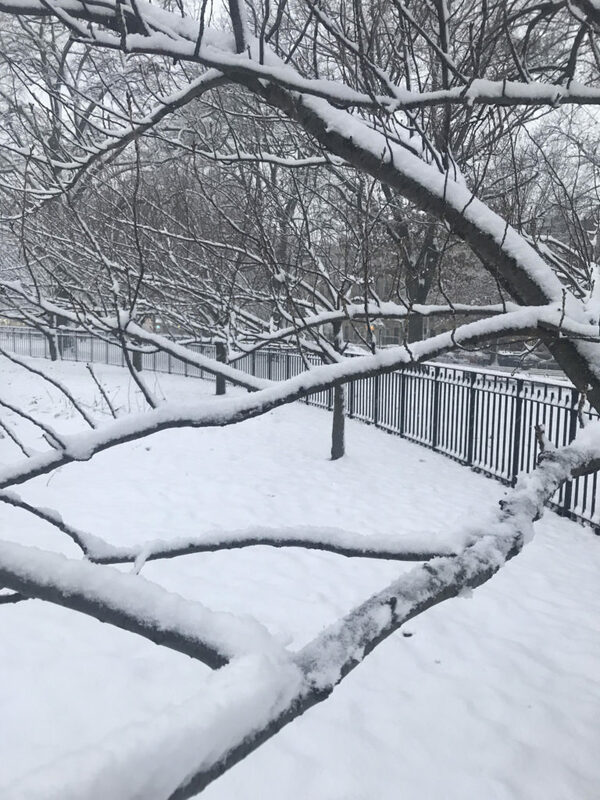 The first day when the snow falls is always the best day (before the city gets mucky), so if you’re going to take advantage of it, go immediately to Central Park on the first day it settles on the ground and spend your day in a snow daze. Whatever way you usually celebrate the holidays, everyone has to spend Christmas in New York at least once. There’s so much to see and do in the city that you’ll never be bored, and if you love Christmas, it’s the perfect place to soak up some Christmas spirit.